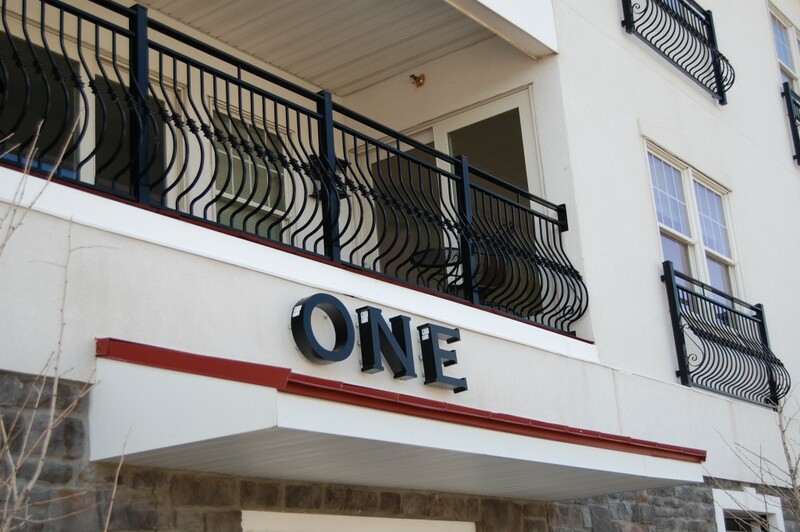 As the revival of Seaside Heights continues to ramp up, an example of the area’s luxury – just steps from the beach and boardwalk – at the border of Seaside Park and Seaside Heights is One Ocean Boulevard, a new condominium building whose builders prided themselves on sparing no detail or expense. 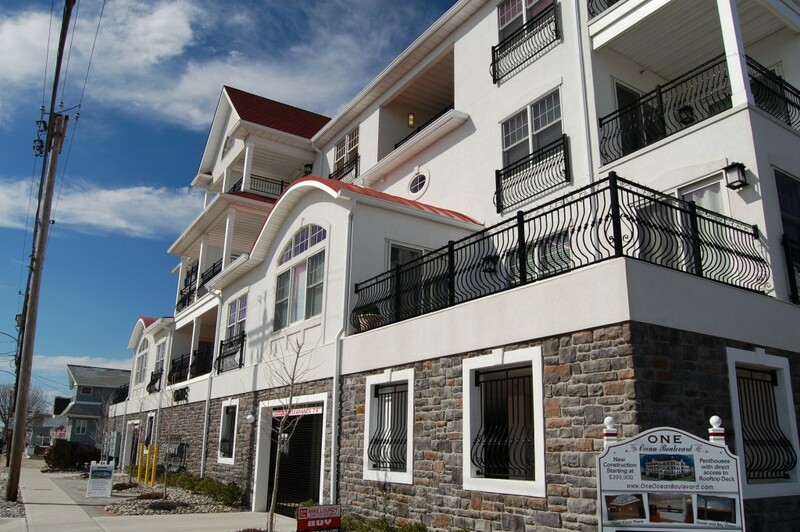 The building, located at the corner of the Boulevard and Porter Avenue, was supposed to be ready for the summer of 2015, but construction continued through much of the summer, a testament to the perfectionism that went into the complex, said Mike Loundy, broker of Seaside Realty, which is showing the building’s 15 units for sale. One Ocean Boulevard combines a luxurious interior – the foyer and elevators are reminiscent of an elegant resort – with an emphasis on outdoor lifestyle features and entertaining. The developers of the project, John Hale and James Anzano, designed the building with inspiration from Florida landmarks such as the Grand Floridian. 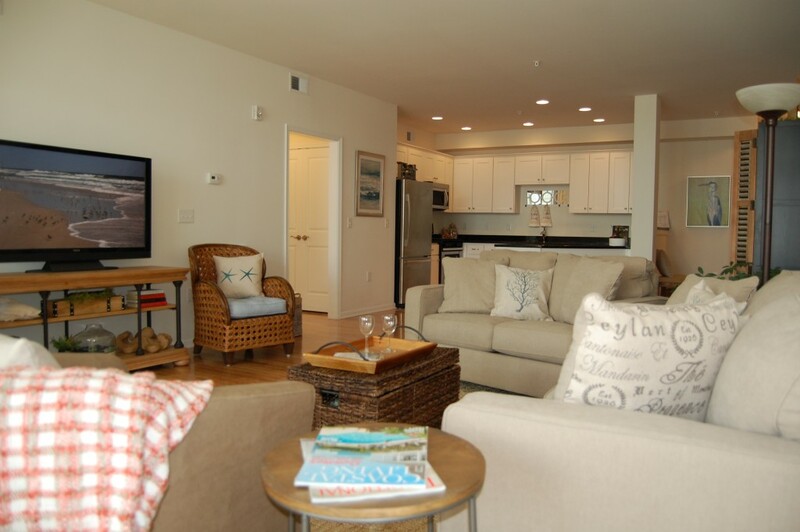 Two bedroom and three bedroom units are available, priced between $399,000 and $549,000. Owners will benefit from a tax abatement for five years. Monthly maintenance averages about $325 per month, depending on the size of the unit. The building includes a locked garage with remote access, plus an intercom system to allow guests inside. An elevator runs from the parking garage, through each floor, to a rooftop deck with stunning views of the Atlantic Ocean and Barnegat Bay. 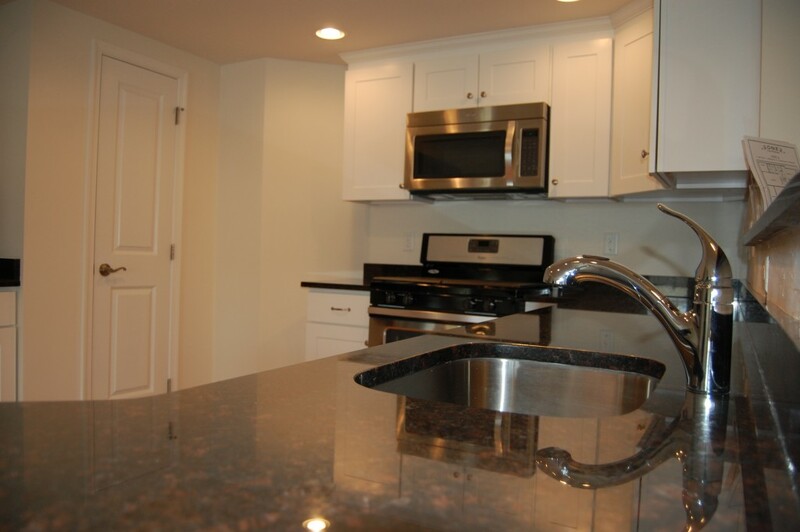 Each of the units come with granite countertops, a stainless steel appliance package, soft-close cabinets and hardwood floors, all under nine foot ceilings. Every master bedroom has a walk-in closet and its own bath. 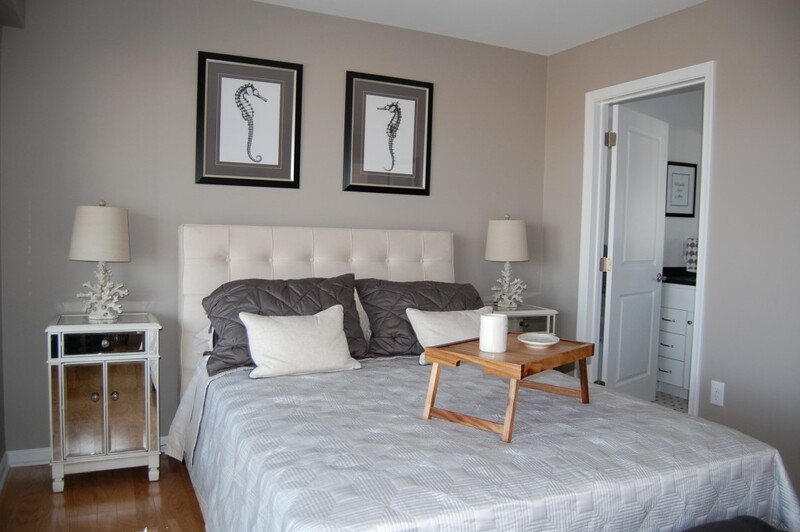 Depending on the unit, there are 2.5 bathrooms up to 3.5 bathrooms – in some units, every bedroom has its own bathroom. The eight “penthouse” units which have two floors all include at least one bedroom on the first floor for accessibility purposes – as well as extra value for those who wish to rent the units out. One Ocean Boulevard is attracting interest from year-round young professionals, investors as well as seasonal residents. 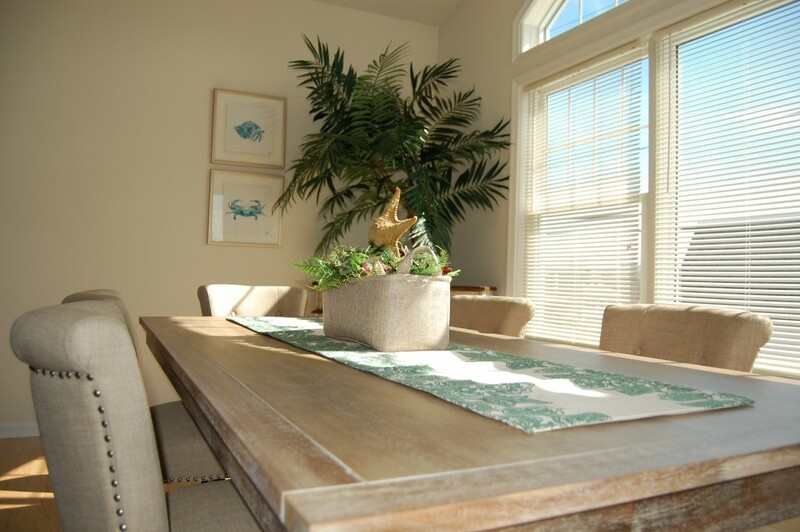 The emphasis in all the units is on open space and providing a great platform for entertaining. The balconies, most of which feature views of the ocean or bay, are more spacious than the typical condominium balcony in the Shore area. They are long and wide, often accessible from multiple rooms. But the best outdoor space is the rooftop deck – complete with elevator access, a stunning fireplace, lounging chairs and a bar. 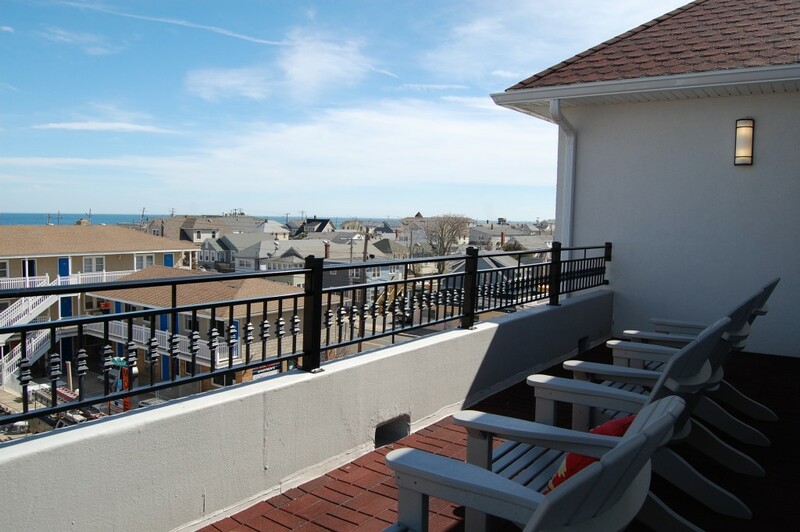 The deck also features a long area that overlooks the Boulevard and provides spectacular views of the beach and boardwalk. “Folks can come here and look at our fireworks or look at the sun come up,” said Loundy. The building is 15 feet above sea level and complies with modern flood codes. The total space in the available units – three have already been sold – ranges from 1,401 square feet to 2,179 square feet. Each unit includes Anderson Storm Watch windows and doors. The building itself has a high-end stucco exterior, and features copper turrets with a vaulted atrium. The location, of course, cannot be beat. 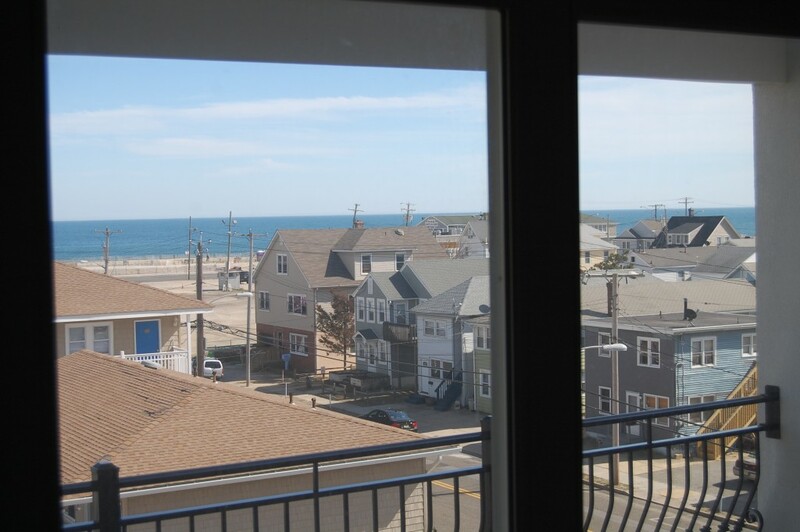 “Anyone who wants to go to the Seaside Park beach, it’s a block away, and anyone who wants to go to the Seaside Heights beach – it’s a block away,” Loundy said.